Thanks to the role of the great Kenny Noyes and Noyes Camp or the latest editions of Superprestigio Dirt-Track, discipline has regained some popularity in Spain. However, it is in America where the best specialists of this and in order to test the 2016 AMA Pro Flat Track in Springfield in Illinois are going to release the new Harley-Davidson XG750R. 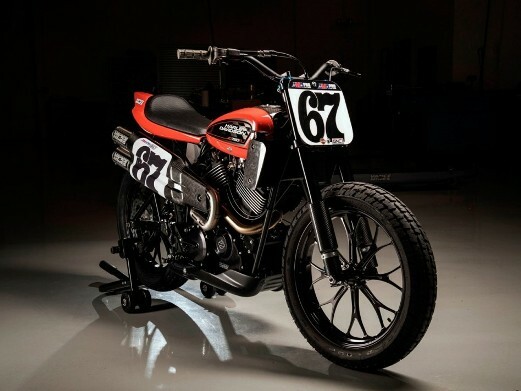 This is the first bike to the Harley-Davidson brand for flat-track new in 44 years, taking advantage of the engine 750 cc Revolution X V-Twin of Harley-Davidson Street 750. Vance & Hines Motorsports has been commissioned to adapt the chassis to the rigors of the competition with a more agile behavior and to squeeze the power of the new engine. The bike will compete in the category GNC1 and the 18 years young pilot Davis Fisher, GNC2 champion in 2015, will be the first to try to cover the necessary development process. At the moment of his partner Brad ‘The Bullet’ Baker will continue with the more developed Harley-Davidson XR750, with racing for victory in each round of the championship. In short Fisher will be the one that does the shooting of the bike to Baker, already an established star of discipline. The painting of the bike is spectacular and continues with the curious line of Harley-Davidson in the competition.